"I saved a great amount of important data on a USB flash drive, but a virus attack deleted all of them. Does anyone know how to recover deleted files from a USB flash drive free?" With advantages of light, portable and reliable, USB flash drive is really widely used to carry vital data with them today. But a mistaken deletion or a sudden virtue attack, etc. can easily cause data loss in USB flash drive. So what if you lost important files from USB drive? Don’t worry! Many free USB data recovery programs exist that can help recover your accidentally deleted files. Here we list the 2018 top 5 free USB flash drive data recovery software for your reference. Any Data Recovery Free is the very best free USB flash drive data recovery software I ever used. It can wizard you to recover documents, photos, videos, music and up to 500+ file types from hard drive and other storage devices like memory card, USB drive, pen drive and so on. No matter how you lost your USB files, wrong deletion, format, power failure, virus infection, misoperation or USB damaged, etc, you can easily recover lost files from USB flash drive free within 3 steps. Recuva (https://www.piriform.com/recuva) is a free-for-the-download utility that recovers deleted files from virtually any disk that Windows can read like HDD, USB flash drives, SD cards and etc. The interface of Recuva is simple to use and file recovery depends on the deleted file that you want to bring back, the older it is, the harder it will be to bring back. Con: Not as powerful as for-purchase alternatives; reports files as "unrecoverable" that are still on the hard disk in the same location. Puran File Recovery (http://www.puransoftware.com/File-Recovery.html) is free USB data recovery software for you to restore lost or deleted files and lost partitions. The program supports FAT 12/16/32 and NTFS which covers most storage media, including hard drives, USB drives, memory cards, CD/DVD. The interface is simple and straightforward that you can easily get started. Con: Free for home use only (non-commercial), scanning process really takes a long time. The Disk Drill (http://www.cleverfiles.com/disk-drill-windows.html) is user-friendly data recovery software that can easily recover data from "virtually any storage device," such as internal and external hard drives, USB devices, and memory cards. The program is recommended for its Recovery Vault feature that can monitor folders of your choosing so when files are deleted, Disk Drill will know and keep a clear record of them so recovering them is easier than searching through the whole drive. Cons: The free edition will scan a drive for lost files, but a paid version is necessary for data recovery. Deep scans are time consuming. EaseUS Data Recovery Wizard Free is a free USB flash drive files recovery that can recover lost files from hard drive, external hard drive, USB drive, Memory card, digital camera and other storage media due to various reasons. Con: Data Recovery Wizard will only free recover data to a limited size before you'll need to upgrade to a paid version. So now we get the 2018 top 5 free data recovery tools for USB flash drive. 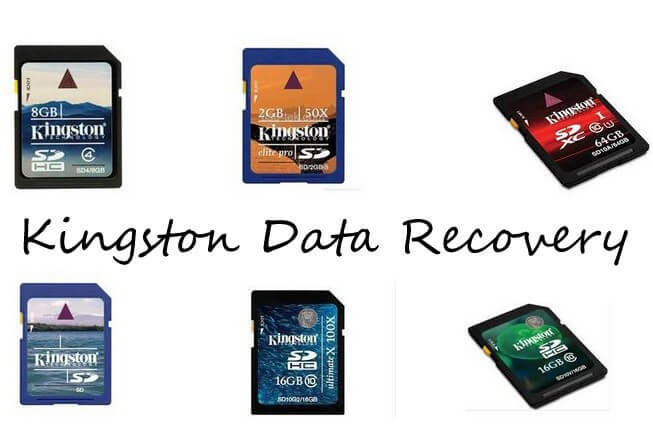 Among these 5 data recovery programs, highly recommend that you try Any Data Recovery Free first if you need to recover deleted files from USB flash drive free.